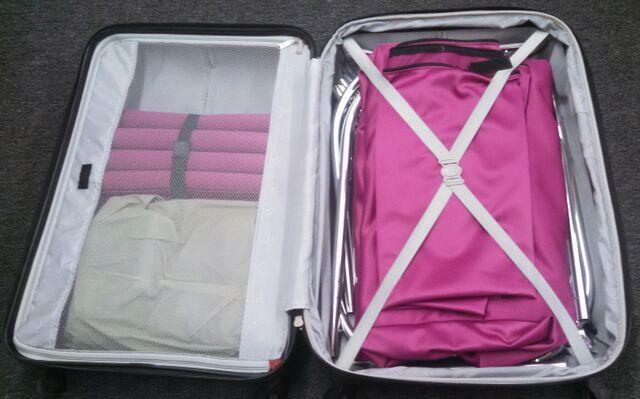 The Safety Sleeper is a portable bed enclosure system, light-weight (under 30 lb.) but yet durable and easy to assemble. The bed is fully enclosed. Whatever was left outside, stays outside; whatever was brought in with the sleeper stays with your sleeper. 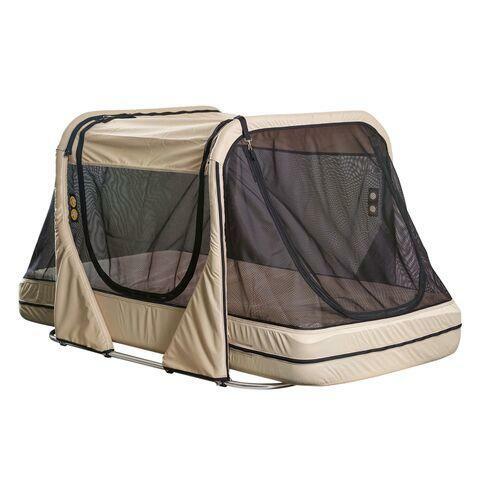 The enclosed bed helps prevent your loved one from unattended wandering. Use a twin mattress in the Safety Sleeper for regular use. The air mattress is ideal for travel. Standard includes one side entry with locking system, head & foot mattress entries, extra coverlet, stabilizing straps, frame pads, air mattress (for travel), travel case. 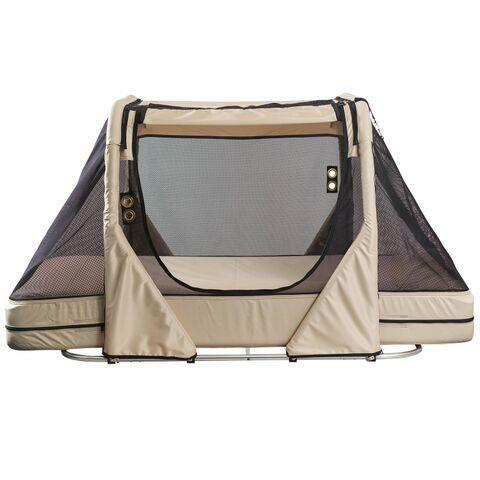 ~ Zipper locking mechanism provides extra safety at each entrance of The Safety Sleeper bed. A hook & loop system is connected to the zipper head of each entrance and is secured to the roof of the enclosure. This ensures your loved one cannot accidentally open the enclosed bed and fall into a dangerous situation. ~ Fire retardant material adds an extra level of security. Our fire retardant material slows down the spread of the fire and improves the opportunity for safe escape. ~ Stabilizing straps secure The Safety Sleeper to any twin or full size bed frames to eliminate tipping and moving of the bed. ~ Coverlets offer a variety of benefits from easy removal for washing and changing to eliminating the threat of entrapment with our zipper locking mechanism to. This coverlet ensures that nothing can slip between the mattress and The Safety Sleeper enclosure. 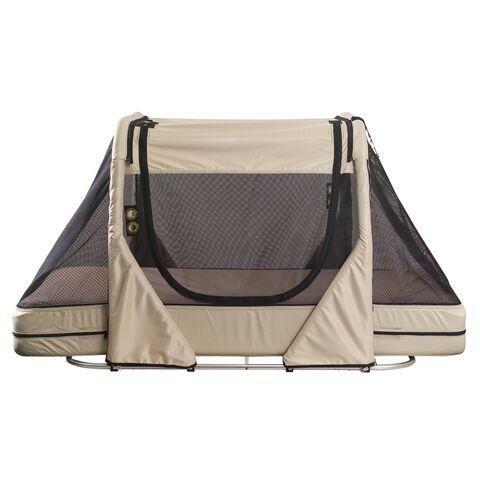 ~ Additional back zipper webbing so your loved one cannot get to any of the opening mechanisms from inside the bed; The Safety Sleeper completely contains your loved one in a secure non-threatening structure. ~ Double stitching to ensure the enclosures will stand the test of time and wear and tear. ~ Includes travel suitcase. This product qualifies for FREE SHIPPING. Dimensions: L: 75" X W: 39" X D: 10"